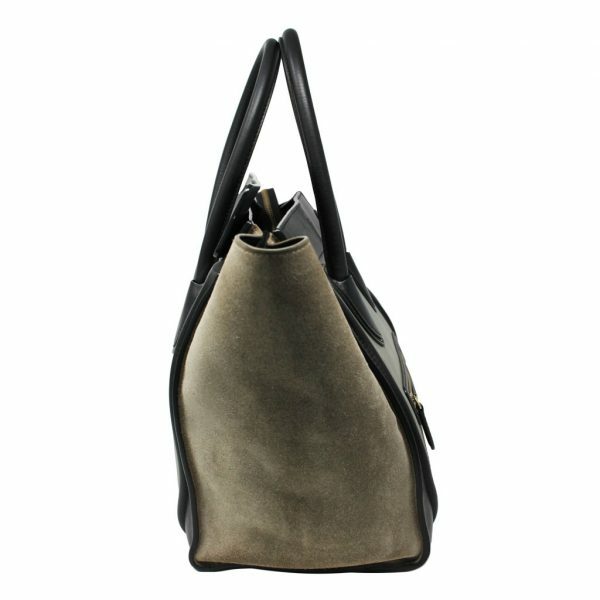 Condition This Celine Tri Color Green/Black/Taupe Calf Leather Suede Large Phantom Handbag is in good condition and has been previously worn. 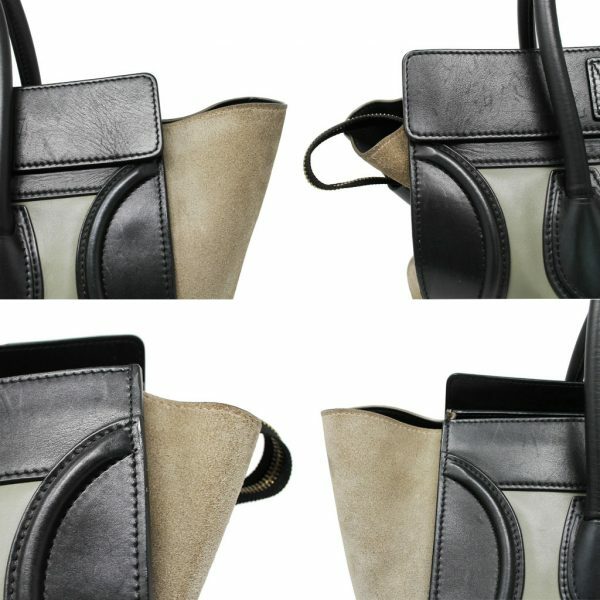 This beautiful taupe, olive green and black tri-color phantom bag does show some visible signs of wear on the exterior. 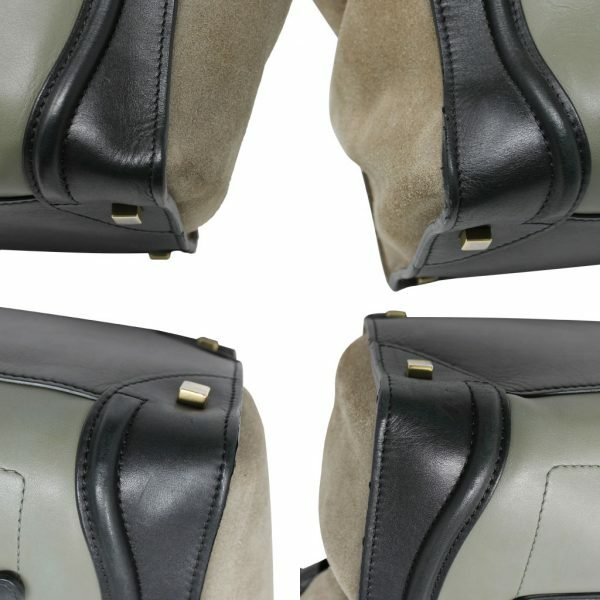 You will notice visible scratches on the olive green leather panels and the black leather trim, along with the rolled handles. 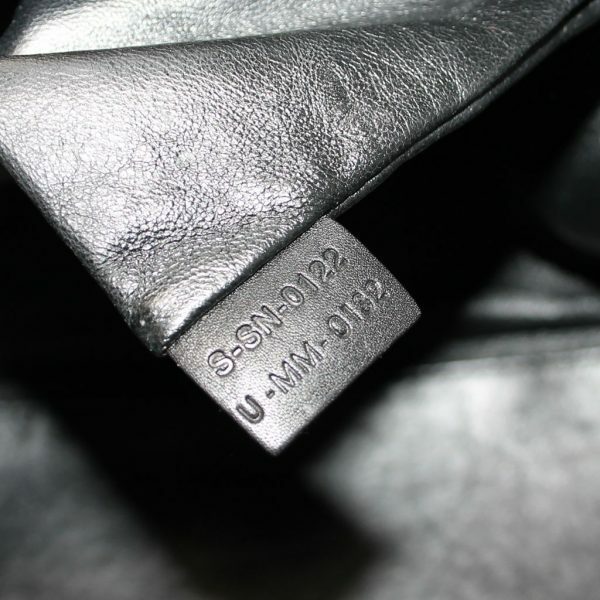 Along the bottom corners of the bag you will see faint visible scuff marks. 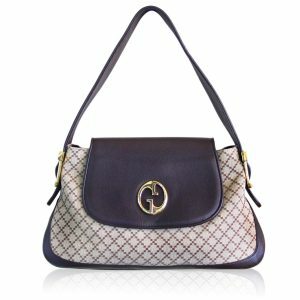 On the front of the purse you have one small zipper compartment which opens and closes properly. 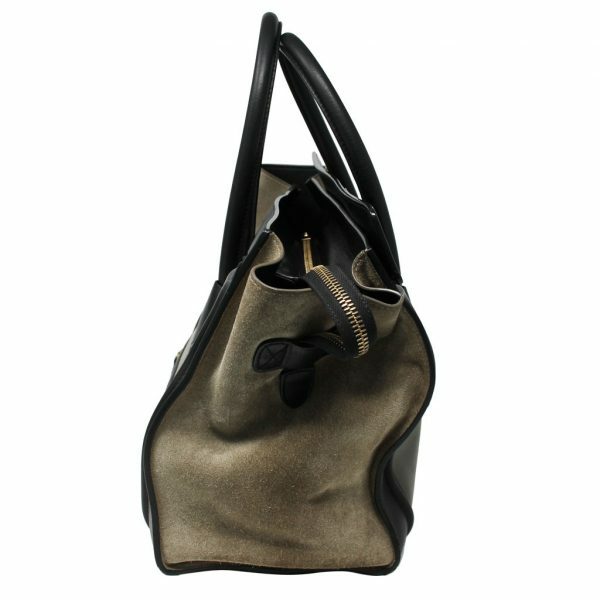 On the bottom of the bag you have four brass tone feet which protect the purse from wear. 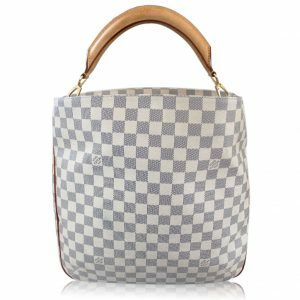 Carry this purse with comfortable rolled handles and a 4.25″ drop. There is a visible scratch on the black rolled handle which can be seen in the pictures listed. There is one very small stain on the beige which you can see in the 6th picture listed. 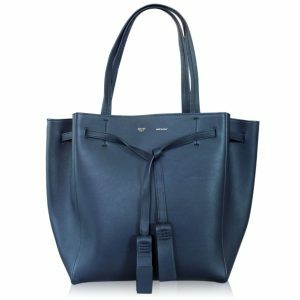 The top zipper opens properly to the beautiful large black leather interior. 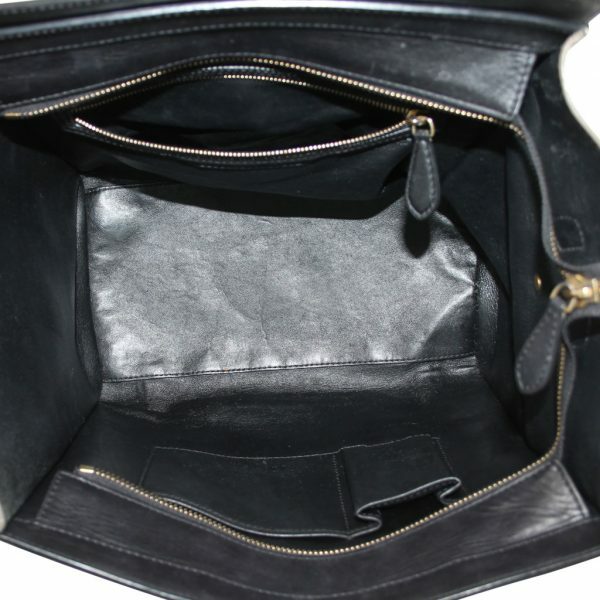 The inside contains one 1 zipper compartment and 2 small pocket compartments. 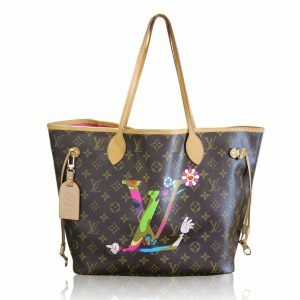 Faint scratches can be seen within the interior from use, but there are no rips or tears, make up stains or foul odors. 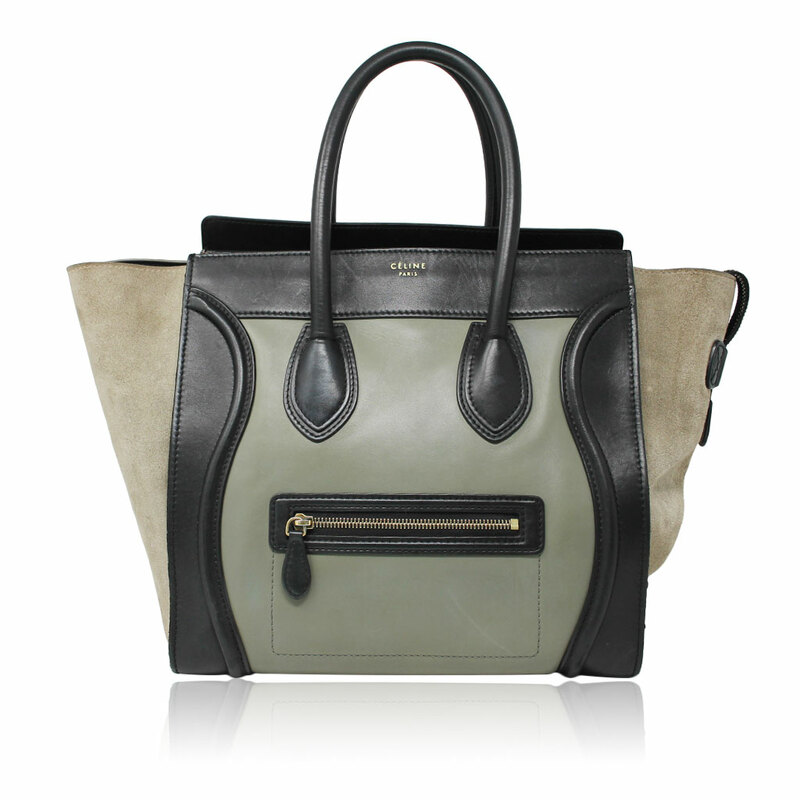 This Celine tri-color phantom handbag is perfect for the fall-winter season! Comes with original dust bag. 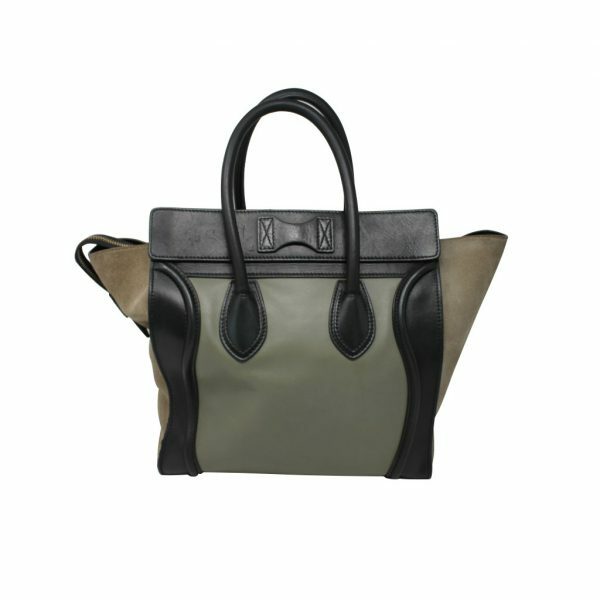 Don’t pass up the opportunity to own this gorgeous Celine purse, buy it now or make us your best offer.